The North Beach Plantation Resort is a sprawling community of vacation rentals where oceanfront views meet a myriad of resort luxury. North Beach Plantation Cantor Villa 4816 is a beach house that features the privacy of a single family home with the lavish amenities of a luxury resort. Choose this three bedroom Myrtle Beach vacation rental the next time the Grand Strand calls you to come for a Myrtle Beach golf vacation. Relish the comfort of this beach house for your Myrtle Beach golf package where three bedrooms have sleeping accommodations that are perfect for a golf foursome plus spouses. The kitchen is sleekly designed with stainless appliances and granite counters. A backyard patio features a gas grill for a South Carolina cookout after a day of golfing. All the amenities you want in a golf vacation rental are present in North Beach Plantation Cantor Villa 4816 and all the luxurious features of an amazing resort are at your fingertips, too. 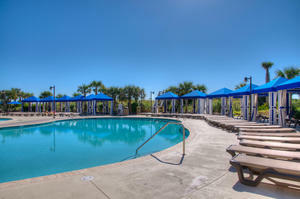 This includes a spa, fitness center, three acres of indoor and outdoor swimming pools and hot tubs, easy beach access and of course and most importantly, close proximity to award-winning championship Myrtle Beach golf courses. While booking your golf package through the Myrtle Beach Golf Authority you will be able to choose your rental as a result of a direct connection with our parent company, Elliott Beach Rentals, which has hundreds of beach houses and condos to give you the perfect accommodations for your Myrtle Beach golf package. With so many options available you will be able to find a rental that will perfectly suit your needs on your Myrtle Beach golf vacation. You will be able to choose from a variety of options including oceanfront homes, channel houses and even luxurious condominiums that are spacious enough to sleep 20+! Your golfing group is sure to find at least one that perfectly suits your needs for your next Myrtle Beach golf package.